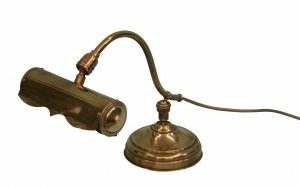 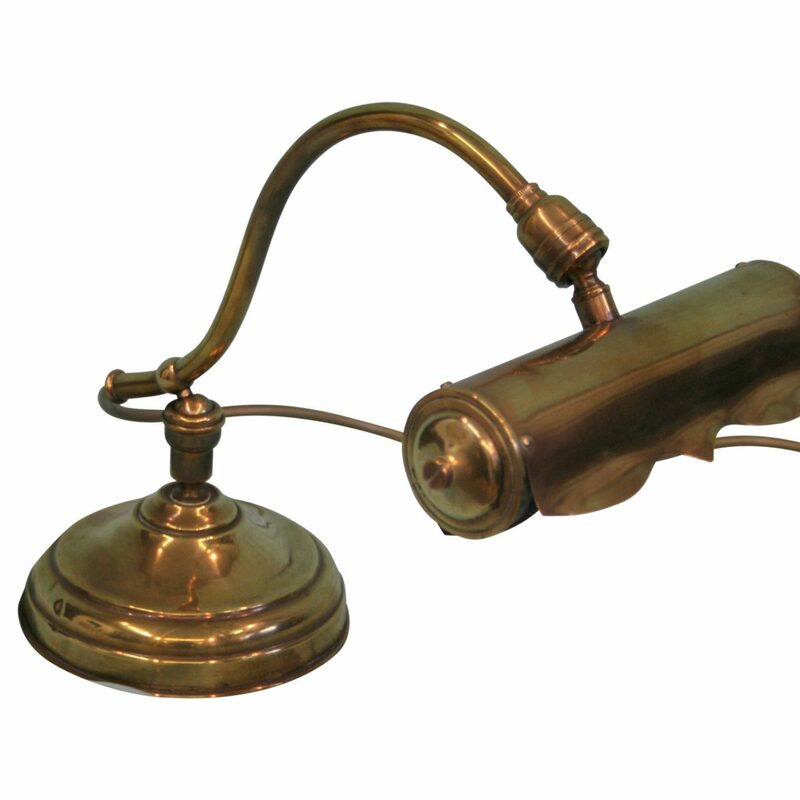 A Victorian brass desk lamp. 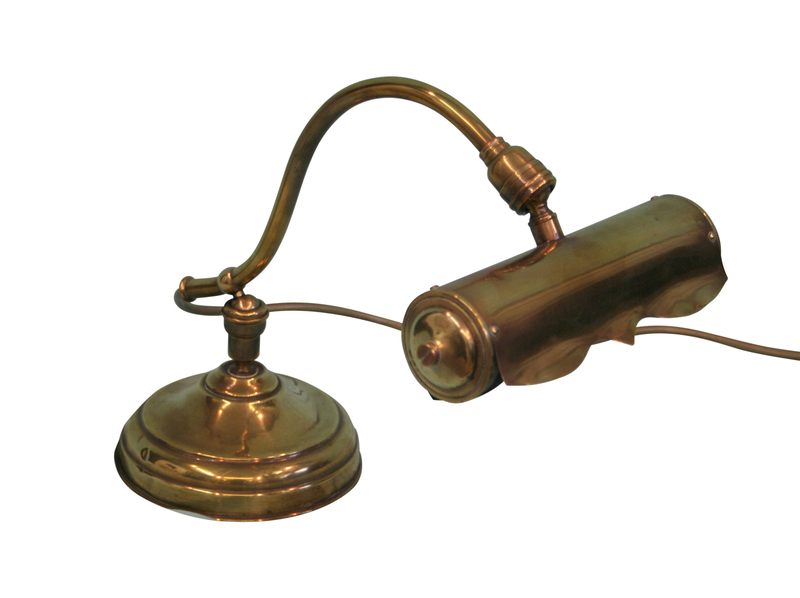 The adjustable cylindrical shaped shade is mounted on a swan neck support arm. This is attached to a circular weighted brass base.